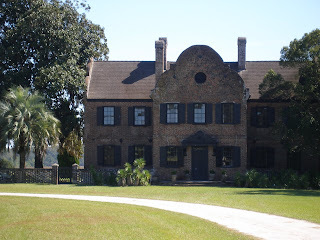 Middleton Place's remaining structure was restored and used as a home. 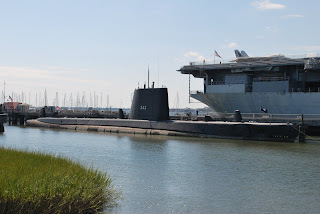 There are many interesting places to visit in the Charleston area. Choosing what to do is only a matter or interests, time, and money. 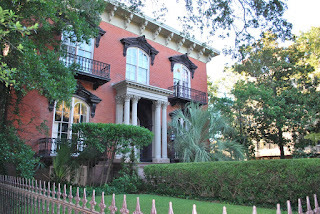 The Charleston area is home to many plantations and historic homes. 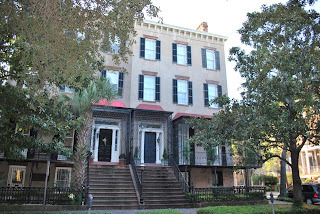 Some of the places you can visit in the historic district are the Aiken-Rhett House and the Nathaniel Russell House, both of these houses are run by the Historic Charleston Foundation. You can purchase tickets individually or you can purchase a combo ticket for a discount. Also in the historic district are the Heyward-Washington House and the Joseph Manigault House, which are operated by the Charleston Museum. For these places, you can purchase individual tickets or combo tickets to two or all three sites. I have been to all of these places in the past and they are definitely worth visiting. Another historic home in Charleston that you can visit is the Edmonston-Alston House, which is run by the Middleton Place Foundation. 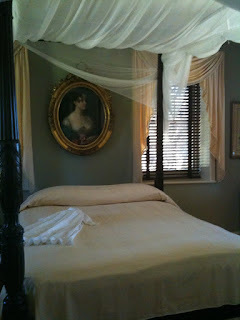 Middleton Place bedroom dressed for summer usage. Charleston being in the South, there are penty of former plantations in the area to visit. Some of those are Boone Hall Plantation located in Mt. Pleasant and Cypress Gardens in Moncks Corner. There are also the plantations located inthe West Ashley area along Ashley River Road: Drayton Hall, Magnolia Plantation, and Middleton Place. Each of these historic plantations have something different to offer the visitor. I've been to all of them at some point, except for Drayton Hall. Drayton Hall is run by the National Trust for Historic Preservation and is an original structure that has been preserved, but not restored. 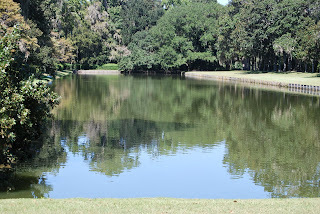 On this visit to Charleston, I chose to go to the Middleton Place Plantation. There are several activities and tours that you can take, each coming with a cost, but you can purchase a combo ticket for a discount. 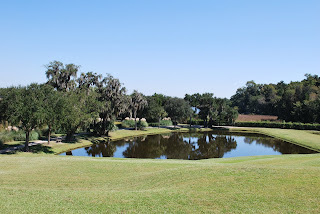 The rather hefty $25 admission fee only gets you into the grounds, which are quite extensive with 65 acres of formal landscaped gardens; there is a Garden Overview Tour and an African American Focus tour which is included. You need to purchase a ticket for the guided house tour and there is also a carriage tour (separate cost) which takes you through the area where rice used to be planted, as well as a bamboo forest. 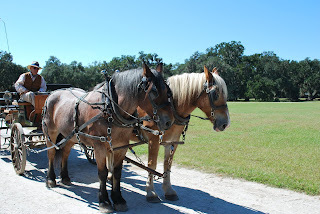 The carriage tour is a good starting point for your exploration of Middleton Place as you get an overview of the plantation's history and the history of the Middleton family. 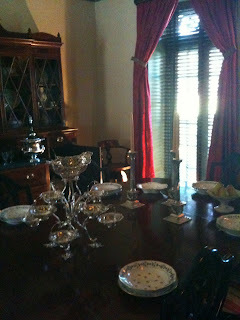 The house tour provides you a glimpse into the various Middleton family generations, as well as a taste of the opulence in which the wealthy plantation owners lived. 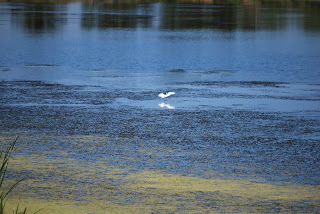 You can spend a couple of hours or all day at Middleton Place. They even have a restaurant on site which is open for lunch or dinner. 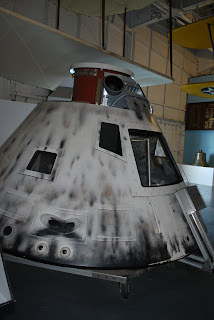 The last official duty of the USS Yorktown was to bring in the Apollo 8 astronauts and capsule. 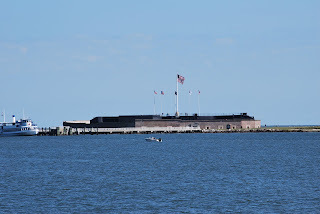 Besides visiting Ft. Sumter, which is only accessible by boat, you can also visit Ft. Moultrie, which is located on Sullivan's Island and accessible from Mt. Pleasant. Ft. Moultrie was used in both the American Revolutionary and Civil wars. 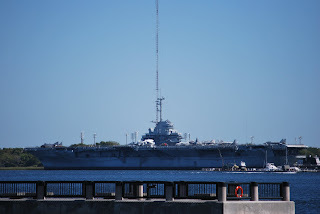 It was "modernized" in the late 1800's and was lastly an important part of coastal defence during World War II. The fort was used by the Army for 171 years as an important part of the coastal defence system. It was turned over to the National Park Service in 1960. 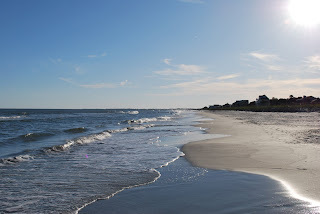 My favorite beach in Charleston is Folly Beach. There is plenty of public access to this beautiful beach at the "Edge of America." 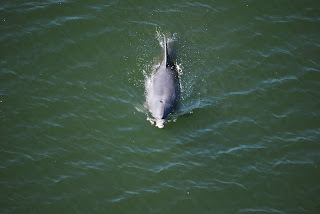 The Folly Beach Fishing Pier is very popular with fisherman and is the second longest pier on the east coast. 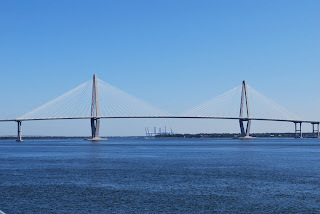 Charleston is within easy driving distance of Savannah, Georgia. 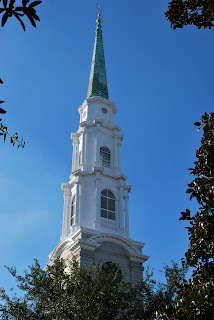 If you have the time, definitely take a day trip (or even half a day, since it's so close) down to Savannah. 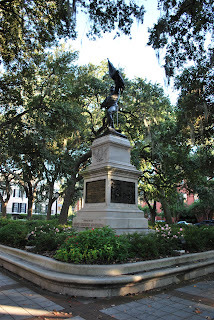 Savannah is a beautiful old Southern city and quite similar to Charleston. 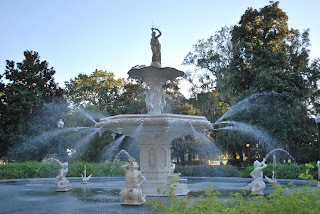 Savannah was a planned city and is proliferated by 21 public squares (there were originally 24), which are surrounded by gorgeous old homes. 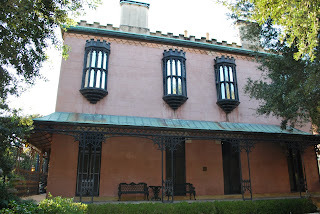 Among the historic home you can visit are the Juliette Gordon Low birthplace (founder of the Girl Scouts) and the Mercer-Williams House (built for the great-grandfather of songwriter Johnny Mercer made famous by the book Midnight in the Garden of Good and Evil. 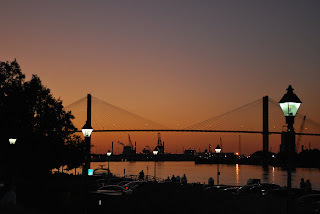 Savannah is situated on a river and cobblestoned River Street is home to many souvenir shops, hotels, restaurants, and more. I ate dinner at Huey's Southern Cafe on River Street which serves authentic New Orleans Creole and Cajun food. Huey's actually serves breakfast, lunch, and dinner and is situated as part of the River Street Inn. 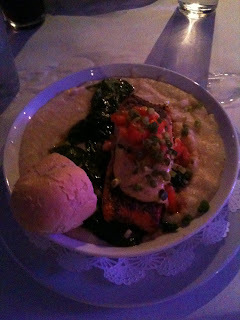 My meal at Huey's was the first time that I ever ate grits (a favorite dish in the South) and they were excellent! Salmon, spinach and Parmesan garlic grits. Yum!